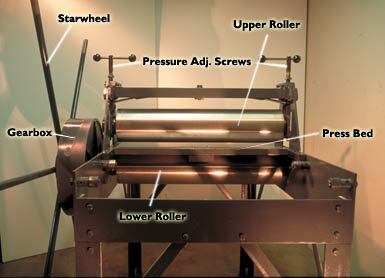 An etching is a hand-made print, on paper, that has been printed from a metal plate that has been worked with acid. I will be adding a more complete description of my technique soon! 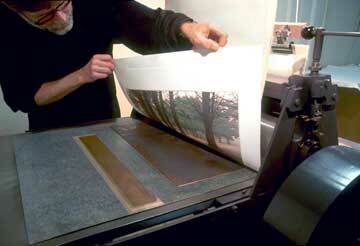 Pulling a completed 3-plate etching. My Sturgess CP-5 etching press. 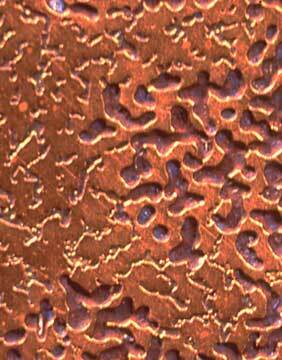 Extreme close-up view of the etching plate.